To stamp a watermark on your PDF files is to mark you PDF documents as your copyrighted property. 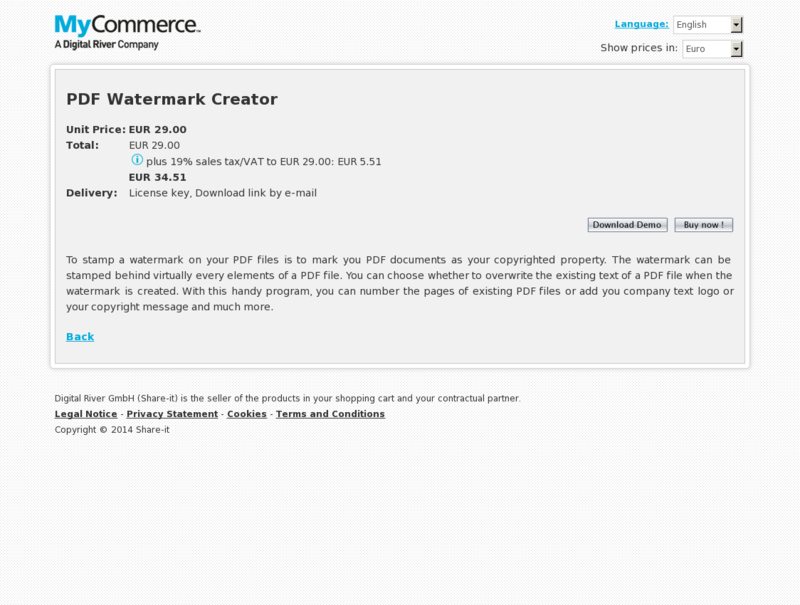 The watermark can be stamped behind virtually every elements of a PDF file. You can choose whether to overwrite the existing text of a PDF file when the watermark is created. With this handy program, you can number the pages of existing PDF files or add you company text logo or your copyright message and much more.